Gluten intolerance research has exploded in the last few years because of necessity and interest across the globe. 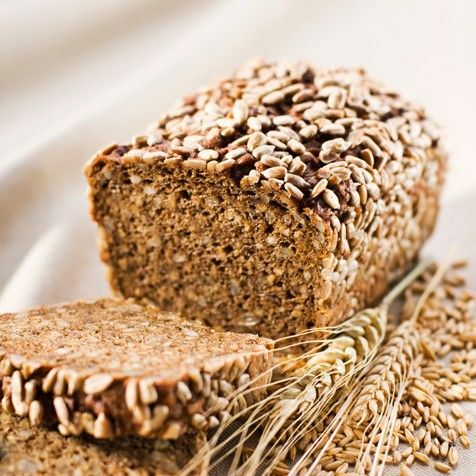 Gluten is found in wheat, rye, barley, and sometimes oats. Foods made with white flour, wheat flour, whole grain breads, 12 grain breads, pastas, and numerous other foods contain gluten. This protein, unlike any other known food has the ability to change gut integrity and instigate health changes. Gluten can cause symptoms and disorders unrelated to the digestive tract. Bone loss, headaches, balance problems, thyroid disorders, skin problems and hair loss can be related with gluten intolerance. Here are some of the latest findings on gluten and disorders that are linked with gluten intolerance. The journal Nutrition Reviews December 2017 identified multiple harmful concerns with gluten consumption. World class researchers showed that gluten affects all human health with or without obvious symptoms. It showed that adverse health changes occur in and outside the digestive tract. Symptoms may not always reflect digestive difficulties, but the gut is always affected by gluten intake. Gluten intake leads to immune or toxic reactions that impair the gastrointestinal tract. Gluten intake increases oxidative stress which can also affect genetic expression. Gluten is considered immunogenic or triggers the immune system to respond, cytotoxic, and proinflammatory increasing cell death and damages cell health and functionality. No other food protein has this effect to this degree. Previous research showed that gluten intake affects gut flora and increases intestinal permeability in all individuals whether or not there is celiac disease or non-celiac gluten sensitivity. Intestinal permeability relates to changes in the function microscopic doors or “tight junctions” inside the gut lining which allow the passage of nutrients from inside the intestinal tract to the rest of the body. The amount of damage and length of time that gluten causes a release of zonulin and increased intestinal permeability varies. Increased intestinal permeability and oxidative stress may last for a few hours in “unaffected” individuals. In others who are intolerant, the intestinal permeability change and immunotoxic damage may last 24-hours or several days. The key point is that gluten exposure increases intestinal permeability in all individuals. This makes us question – how long do you want immune challenging compounds crossing from the gut into the bloodstream affecting heart, brain, joints, thyroid, or any tissue in the body from a choice of food? Many individuals are surprised to know that bone loss or osteoporosis may be the only manifestation of gluten intolerance. In fact, common disorders like migraine headaches, depression, autoimmune thyroid disorders, and hair loss are linked with gluten intolerance, either celiac disease or non-celiac gluten sensitivity. The list of non-gut related disorders linked with gluten intolerance is rather long. Skin or dermatological disorders linked with gluten intolerance include dermatitis herpetiformis, chronic urticaria, atopic dermatitis, psoriasis, alopecia areata, cutaneous vasculitis, IgA linear dermatosis, dermatomyositis, vitiligo, lupus erythematous, lichen sclerosis, recurrent aphthous stomatitis/canker sores and mouth ulcers, rosacea, hypersensitivity vasculitis/leukocytoclastic vasculitis (very small pinpoint bruises), amyloidosis, icthyosis/dry skin that looks like fish scales on the legs, transverse leukonycha (white lines and spots on the fingernails), porphyria, and hypertricosis lanuginose. If you have small, pinpoint bruises on your legs, hair loss, white spots on your fingernails, reoccurring canker sores, and/or a patch of psoriasis on your elbows or back of your neck, you might want to think about cutting out gluten. Gluten intolerance can significantly impact the nervous system and brain. One of the more common neurological disorders seen is gluten ataxia and loss of balance or other movement disorders caused by damage to the brain’s cerebellum from gluten intake. Inability to maintain balance, unsteadiness or feeling tipsy when walking, bumping into the wall, not able to walk a straight line may reflect gluten intolerance. How many children or adults are labeled clumsy when it may be their nervous system reacting to gluten? Other neurological disorders caused by gluten include seizure disorders, gluten encephalopathy, peripheral neuropathy, restless legs syndrome, tremors, tics, Parkinson’s disease, muscle weakness and other movement disorders. Peripheral neuropathy often occurs several years before the diagnosis of gluten intolerance and may be the only symptom. Gluten encephalopathy may present with several symptoms. The most common symptom is migraine 6 and there may be difficulties with cognitive skills and function, memory difficulties, and mood changes, i.e. brain fog, brain fatigue, depression, and anxiety. How many individuals young and old struggle with these common every day symptoms and end-up on an anti-depressant or other psychotropic drug? Statistics show that at least 22 percent of patients with celiac disease develop neurological or psychiatric concerns. In cases where there is no other explanation why there is a neurological problems, at least 57 percent of people test positive for gluten intolerance. Headaches, non-migraines and migraines, depression, dysthmia, major depression, anxiety, bipolar disorders, schizophrenia, autism spectrum disorders and ADHD have been linked with gluten intolerance. Research from 1983 demonstrates that serotonin levels improve when gluten is eliminated in those with gluten intolerance. MRI reports may often describe incidental findings with appearance of white matter lesions or pinpoint white spots seen on MRI brain scan. These findings are often overlooked and dismissed as normal. Experts in the field of gluten and neurology show that removal of gluten from the diet can reverse the appearance of the white matter spots, i.e. the brain inflammation from gluten responds to the removal of gluten. Gluten intolerance also affects the heart and circulatory system. It is linked with cardiovascular disease, heart failure, heart blocks, myocarditis, and changes in ejection fraction, blood clots, stroke, stiff arteries. The April 2018 issue of World Journal of Gastroenterology provides additional disorder linked with non-celiac gluten sensitivity.6 These include iron deficiency anemia, fibromyalgia, type 1 diabetes, several different types of arthritis, microscopic colitis and lymphocytic colitis, Sjogren’s syndrome, Raynaud’s phenomenon, scleroderma, and irritable bowel syndrome. Other concerns linked include bladder irritation or interstitial cystitis, ingrown hairs, runny nose/rhinitis, asthma, postural tachycardia syndrome, and menstrual cycle changes. Symptoms may simply also manifest as tiredness, lack of wellbeing, foggy mind, joint or muscle pain, and/or arm/leg numbness. Other gluten intolerance research shows that kidney disease (membrane proliferative glomerulonephritis), liver (celiac hepatitis, liver failure, cirrhosis, some cholangitis disorders, Addison’s disease/adrenal insufficiency, hemolytic/aplastic anemia, leucopenia, thrombocytosis, immune thrombocytopenic purpura (ITP), Meniere’s disease, eosinophilic esophagitis, eye inflammation/uveitis, multiple sclerosis, and connective tissue disease respond partially or significantly in response to removal of dietary gluten. And the list goes on. The reality is the content and structure of gluten has changed in the last several decades. Coupled together with that is the dynamic change with the sheer amount of toxins that we are exposed to, including Roundup/glyphosate, other pesticides, herbicides, petroleum by-products, antibiotics, and other medications that alter gut flora and integrity. Those who consume ancient wheat or travel to European countries often find that their symptoms are much improved. The reason is simply gluten amounts and the ancient grains are much easier to tolerate and the agricultural toxic load is different. Gluten intolerance may be one of the reasons, but it is not the only reason for many of the concerns listed above. If you have any of these disorders, try an elimination challenge for at least 30 days. If symptoms start to improve, then gluten is affecting your body. If you don’t see an improvement in symptoms right away, it doesn’t mean that gluten is not affecting you. Often in chronic disorders, it may take 6-24 months of avoidance for the body to repair to really start to see a major positive shift in health. Standard celiac disease lab tests do not test for all of the proteins associated with gluten that can trigger an immune reaction. Nor does regular medical celiac disease testing measure zonulin and intestinal permeability even though these functional medicine tests are available. Presence of celiac genes HLA DQ2 and DQ8 genes is not a certain diagnosis of celiac disease nor does it relate to non-celiac gluten sensitivity. Gluten intolerance comes with many faces as celiac disease, wheat allergy, and non-celiac gluten sensitivity. I am not recommending that everyone avoid wheat and gluten across the board on a whim. Work with your health care provider to evaluate gluten intolerance, intestinal permeability, and immunological responses to gluten. I do think we need to be aware that daily repetitive intake of highly processed gluten containing foods is stressful to the body and is one of several major reasons for loss of health in this country. The body can heal from gluten exposure. Work on gut health with improving the integrity of the mucosal lining. Consume a diet rich in plant-based antioxidants. Work on replenishment of healthy gut bacteria with natural sources of probiotics like yogurts, kefir, fermented foods or probiotic supplements. Make sure to include a diet rich in cold water fatty fish for essential fats. Get rid of other toxic foods (sugar, processed foods, trans fats, etc.) and reduce or eliminate unnecessary medications that injure the gut lining too. Support with enzymes to help break down gluten, protein, carbohydrates, casein, and fat may be helpful to assist the healthy digestion of foods. World class researchers find repeated evidence of all gluten exposure affects everyone. Altered tight junctions function and increased intestinal permeability, increased oxidative stress, gut flora disturbances, and immunologic changes occur with all exposures to gluten – it’s just the amount that varies per person. This is powerful information. With autoimmune disorders at ever increasing epidemic level, we should at least question whether how our personal health has been affected by gluten. The bread and grains that we have today is not the same “staff of life” bread of yesterday.